She gained the title of Princesse de France. [S45] Marcellus Donald R. von Redlich, Pedigrees of Some of the Emperor Charlemagne's Descendants, volume I (1941; reprint, Baltimore, Maryland, U.S.A.: Genealogical Publishing Company, 2002), page 58. Hereinafter cited as Pedigrees of Emperor Charlemagne, I. [S16] Jirí Louda and Michael MacLagan, Lines of Succession: Heraldry of the Royal Families of Europe, 2nd edition (London, U.K.: Little, Brown and Company, 1999), table 49. Hereinafter cited as Lines of Succession. 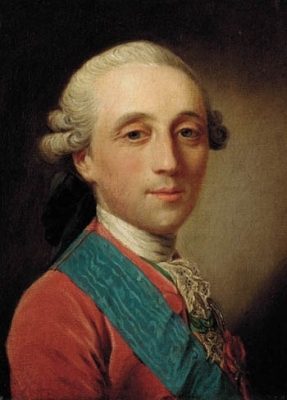 He was a member of the House of Bourbon.1 He gained the title of Comte d'Artois on 9 October 1757.5 In July 1789 he left France.5 He gained the rank of Lieutenant-General of the Kingdom on 28 January 1793.5 On 12 April 1814 he re-entered Paris.5 He succeeded as the Roi Charles X de France in 1824.1 He was crowned King of France on 29 May 1825 at Rheims, Champagne, FranceG.5 He gained the title of Comte d'Artois on 2 August 1830. 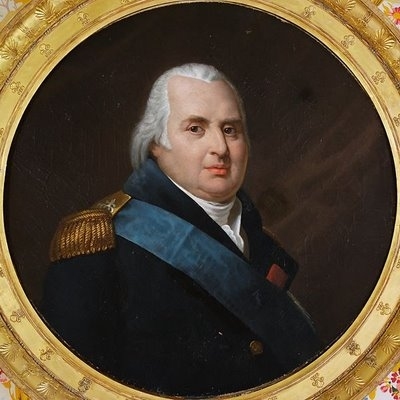 He abdicated as King of France on 2 August 1830. [S45] Marcellus Donald R. von Redlich, Pedigrees of Some of the Emperor Charlemagne's Descendants, volume I (1941; reprint, Baltimore, Maryland, U.S.A.: Genealogical Publishing Company, 2002), page 59. Hereinafter cited as Pedigrees of Emperor Charlemagne, I. She gained the title of HSH Princess Maria Vladimirovna of Russia.1 She gained the title of Grand Duchess Mariya Vladimirovna of Russia.2 She was educated at Oxford University, Oxford, Oxfordshire, EnglandG. She lived in 1992 at Madrid, SpainG. [S3] Marlene A. Eilers, Queen Victoria's Descendants (Baltimore, Maryland: Genealogical Publishing Co., 1987), page 197. Hereinafter cited as Queen Victoria's Descendants. [S12] C. Arnold McNaughton, The Book of Kings: A Royal Genealogy, in 3 volumes (London, U.K.: Garnstone Press, 1973), volume 1, page 304. Hereinafter cited as The Book of Kings. [S3] Marlene A. Eilers, Queen Victoria's Descendants, page 158. [S3] Marlene A. Eilers, Queen Victoria's Descendants (Baltimore, Maryland: Genealogical Publishing Co., 1987), page 158. Hereinafter cited as Queen Victoria's Descendants. [S3] Marlene A. Eilers, Queen Victoria's Descendants, page 197. He was also known as Georgy Mikhailovich Romanov. He gained the title of Grand Duke Georgy Mikhailovich of Russia. 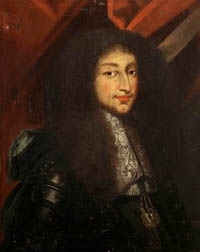 He gained the title of Prinz von Preußen (styled as HRH Prince of Prussia). [S16] Jirí Louda and Michael MacLagan, Lines of Succession: Heraldry of the Royal Families of Europe, 2nd edition (London, U.K.: Little, Brown and Company, 1999), table 119. Hereinafter cited as Lines of Succession. [S16] Louda and MacLagan, Lines of Succession, table 121. Emich Cyril Ferdinand Hermann VII Fürst zu Leiningen was born on 18 October 1926 at Coburg, Bayern, GermanyG.2 He was the son of Friedrich Karl Eduard Erwin VI Fürst zu Leiningen and Mariya Kirillovna Romanov, Grand Duchess of Russia. He married Eilika Stephanie Elisabeth Thekla Juliana von Holstein-Gottorp, Herzogin von Oldenburg, daughter of Nikolaus Friedrich Wilhelm von Holstein-Gottorp, Hereditary Grand Duke of Oldenburg and Helene Prinzessin zu Waldeck und Pyrmont, on 10 August 1950 at Rastede, Niedersachsen, GermanyG.2 He died on 30 October 1991 at age 65. [S3] Marlene A. Eilers, Queen Victoria's Descendants (Baltimore, Maryland: Genealogical Publishing Co., 1987), page 160. Hereinafter cited as Queen Victoria's Descendants. 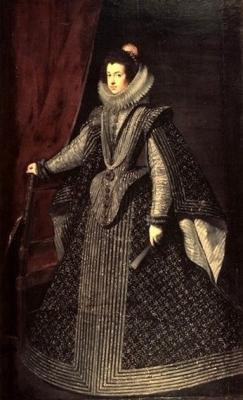 [S3] Marlene A. Eilers, Queen Victoria's Descendants. Karl Wladimir Ernst Heinrich Prinz zu Leiningen was born on 2 January 1928 at Coburg, Bayern, GermanyG.1 He was the son of Friedrich Karl Eduard Erwin VI Fürst zu Leiningen and Mariya Kirillovna Romanov, Grand Duchess of Russia. He married Mariya Luiza of Bulgaria, Princess of Bulgaria, daughter of Boris III of Bulgaria, Tsar of Bulgaria and Giovanna Elisabetta Antonia Romana Maria di Savoia-Carignano, Principessa de Savoia, on 14 February 1957 at Amorbach, Bayern, GermanyG, in a civil marriage.1 He and Mariya Luiza of Bulgaria, Princess of Bulgaria were divorced on 4 December 1968 at Frankfurt-am-Main, Hessen, GermanyG.1 Karl Wladimir Ernst Heinrich and Mariya Luiza were also married in a religious ceremony on 20 February 1957 at Cannes, FranceG.2 He died in October 1990 at age 62. [S3] Marlene A. Eilers, Queen Victoria's Descendants (Baltimore, Maryland: Genealogical Publishing Co., 1987), page 196. Hereinafter cited as Queen Victoria's Descendants. [S12] C. Arnold McNaughton, The Book of Kings: A Royal Genealogy, in 3 volumes (London, U.K.: Garnstone Press, 1973), volume 1, page 83. Hereinafter cited as The Book of Kings.